My grandfathers fought in WWII. My cousins proudly serve today. Though the call to serve and protect is deeply rooted in my family, I found myself drawn to a liberal arts/high tech world that seemed miles away from intersecting with the military. A few years ago, I became friends with Mark Rowland, the man behind The Downtown Project in Las Vegas (with Tony Hseih of Zappos/Amazon fame), who now runs the US Air Force Las Vegas Innovation arm AFWERX). Simultaneously, pioneers from around the world started to affect the future of work, by intentionally collaborating. We are not gurus or futurists or even fake-famous twitter leaders… but rather a group of individuals, embedded within organizations, trying to engineer serendipity and facilitate meaningful change. So, when the US Air Force needed new ways to protect our men and women, we leveraged our future of work efforts to serve (design and deliver) and created the military’s first truly open collaboration with the public. Challenging every entrepreneur, educator, artist and technician, the USAF launched its first campaign to bring together everyone with an idea or product on how to to improve site and troop security. Leading into its final week, the campaign has been so successful that the Air Force’s Research Lab is now donating $2.5 million to the top five ideas. Large scale change needs to start with a story. Perhaps seen as a cliche in the marketing and blog world by now but, the message needs to resonate. 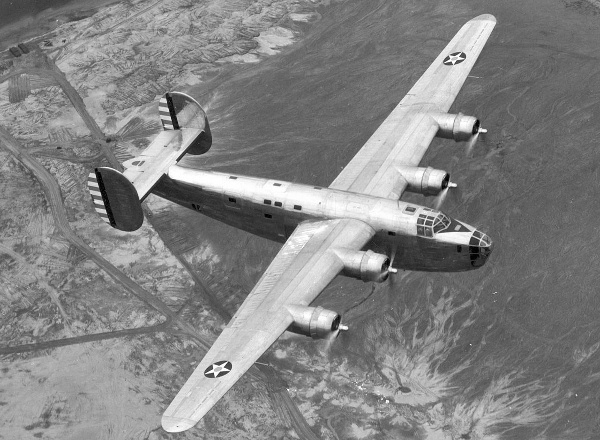 My grandfather fought in the last air battle of WWII as the pilot of a B-24. The Japanese had taken out the starboard formation plane gunners. As the Japanese Zeros came in for the kill, my grandfather decided to turn his bomber into a fighter and attacked the Zeros head-on. The rule-following Japanese didn’t know what to do. A bomber disguised as a fighter? They fled. My grandfather was awarded the Distinguished Flying Cross. He changed the rules of the game in real time. He converted the capabilities of his fleet to collectively protect the men in his charge. Using this story as a metaphor, we kicked-off the project seeking different, smarter, system-wide opportunities to help our troops. There are plenty of great examples in which these approaches lead to results, but blindly relying on an Ideo/Stanford or Google Post-It wielding millennial to protect our troops in a day would have backfired. We (and likely the challenges you are facing at work) aren’t in need of a ‘point solution’ but rather a way to continuously defend. There are no shortage of amazing innovators, consultants and software/apps…surely one of them has the solution? No. They design solutions to solve for specific problems, leveraging a linear approach that the military already operates in. We needed to be able to solve for drones loaded with grenades, sneak attacks du jour and countless other challenges our troops are faced with daily. History is riddled with amazing solutions that solve for the WRONG problem. History is also filled with ‘experts’ coming together when they already all know each other and often produce more of the same. So we used network science and artificial intelligence to determine who needed to be involved to design the problem - front line troops, startups, defense experts, city planners and designers, oil rig experts - all came to play in Las Vegas at the Air Force’s AFWERX Innovation Hub. 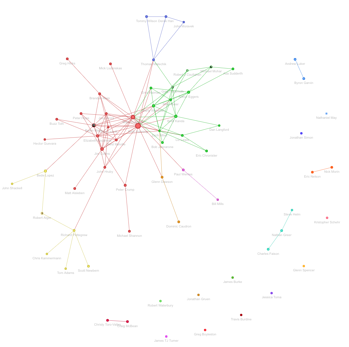 Here is a network view of how the original 75 people that ‘defined the problem’ came together. Coming soon, how the entire #innovate2protect community is connected! Social Graph of the initial group of people to show how diverse they were. Why? Because we need to work together to save lives...and yet we are so disconnected. We researched veterans groups, garage-tinkerers, University robotics lab alumni, online forums - and mapped out who needed to connect with whom to not only submit ideas, but improve, grow and realize ideas, products and results. The singular idea or product alone is rarely the solution. Mimicking an intentional network, we are building an integrated system to solve for the problems of today and stand up to the challenges of tomorrow. A hollywood camera company has a new type of camera that can detect threats that no military or adversaries could see before. The hollywood ‘kids’ that invented this weren’t thinking about protecting men and women, they we thinking about the next blockbuster. When facilitated into a designed community you have the opportunity to create revolutionary solutions brought to bear in months, versus years, if at all. Though on the surface this may look like a typical brand promotion, soliciting public engagement through offering financial gain, this collaboration extends way beyond the prize money. The US Air Force has broken down many institutional barriers in hopes of finding genuine, impactful solutions focused on a singular mission: saving lives. In doing so, the collaborative efforts discussed here offer a path forward to all who are willing to challenge convention in engaging and collaborating with those on both sides of the aisle, table, and country in hopes of a brighter, safer, more connected future.